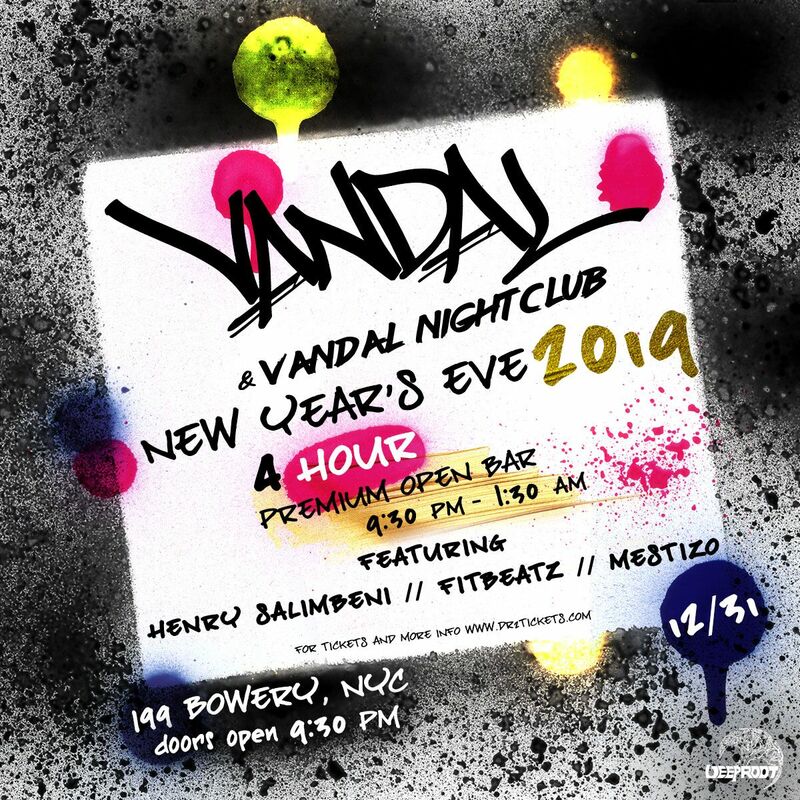 Deep Root Records proudly presents the most anticipated New Years Eve party in New York City at Nolita hotspot, Vandal! 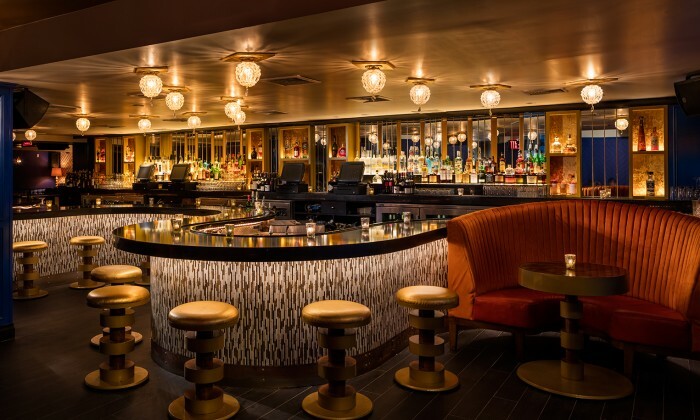 You will arrive to one of New York’s most tightly guarded venues with the finest decor, frequently flooded with A-lister's such as Ariana Grande, Rita Ora, and Hailey Baldwin. You and your guests will truly feel like a superstar on this night changing NYE holiday extravaganza. The Avant Garde venue is littered with lavish furniture, private nooks, and eclectic accents spread over two levels of palatial space ensuring a night to remember. If you were able to grab a ticket in order to past the velvet ropes to this exclusive bash – congratulations! A team consisting of Deep Root Record's and some of NYC's Prominent DJs will welcome you with electrifying mash-ups of the Top 40, Hip Hop, and House beats to keep the bash swirling well into the morning. Dip into the 4 Hour Premium Open Bar where bulbs drape in delicate crystal that hang over you and unwind in a space that was tailor made for entertainment - you will have a euphoric rush that will last the entire night. Beneath beamed ceilings glittering with hanging lights, help yourself to 2 Hours of Complimentary Hors d’oeuvres from the famous eatery and see what all of the buzz has been about. 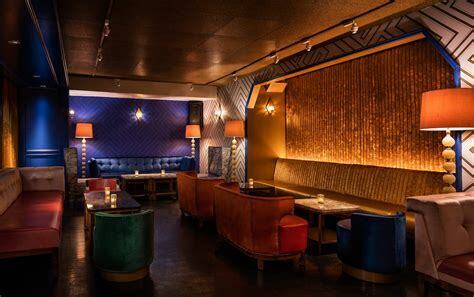 Our exclusive and highly limited VIP's will truly evoke the feeling of walking on the Red Carpet as you make your way down to the mid-century lair, housed by geometric and velvet lain walls, and to Vandal’s famous serpentine bar covered in mosaics. 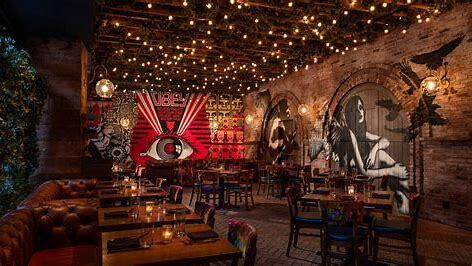 The graffitied nightlife playground off of Bowery has charmed the wealthiest and most famous guests from around the world. 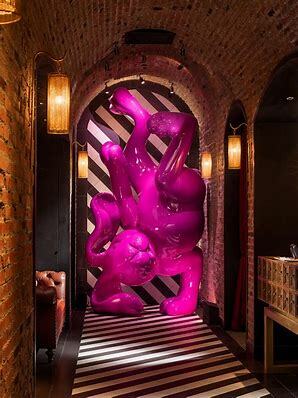 You’ve seen Vandal’s purple bunny statue plastered across the Instagram feeds of hundreds, but if you’ve never experienced the rest of this impressive space, you’re in for a treat. 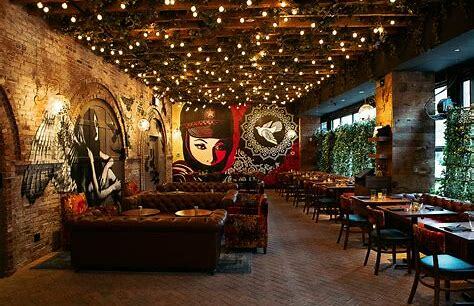 The entire restaurant and lounge is a modern art gallery juxtaposed by rustic accents such as brick walls and arches that are quintessentially New York. As you enter Vandal through the beautiful Pop Gallery, you may choose to claim your very own contemporary piece from highly sought after artists where masterpieces reside. New York City’s Bowery neighborhood will be buzzing with life this New Year’s Eve, and tickets to the party at the center of it all are available now. Watch the New Year commence in style at the overwhelmingly chic Vandal this December – this is a turn of the clock that you won’t forget. For table reservations, sponsorship opportunities, and special prices on group tickets, contact us at info@deeprootrecords.com for more information. Prices start at only $149!